You can make great money online in 2018; even with little experience. There are a growing number of people who work from home; either full time or around their existing job. 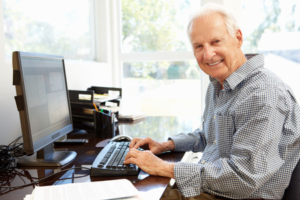 I have worked with people of all ages; from 17 to 84 to show them how to make money online and as a result this article lists some of the ways that have been successful over the last year. The first question we get asked all the time is; what is the best way to make money online when I haven’t got any experience? The answer is different for each person we meet and we work to understand their individual skill level and passion for creating an online business. There are so many opportunities and offers being promoted online that people become confused. You must ask yourself some questions and be honest with your answers. How much time per day / week can you allocate to the job? Do you know how to do something that other people don’t? Could you show them how to do something? Do you have a passion for something and would love to share your enthusiasm? How much experience do you have in the online world? Do you need some further training? How much do you want to make money online? There are many other software packages that you might need depending upon your chosen business type. Now you need to know the range of online business types that you could choose from. The list below is not exhaustive but gives an overview of the types of online businesses that people are operating successfully. To make money online you need passion, hard work and some help from people who know what they are doing. We can help you to set up any of the following business types. Similar to selling on Ebay and Amazon but you have to find your own audience to sell to. The cost to build an e-commerce website is relatively low these days and the sites are simple to build and you do not need any graphics experience. The selling fees are lower and you can design your own site to reflect your business. You need to set up a payment provider to take payments and Stripe and Paypal are just two of these. Re-selling products on the internet can be a great way to make money online; the key is finding a source for finding those bargain items. Garage and jumble sales, charity shops, antique stores and house clearance sales are all great ways to find items you can repurpose and resell. You find items at a low cost and then sell them online on sites like eBay for a higher price. You keep the profit and continue sourcing new products. You can find paid writing gigs to make money online on the internet with a quick online search. All successful websites need great copy and businesses cry out for great copywriters. You can create your own blog and sell affiliate products alongside your articles or you can go to sites such as Fiverr.com and Peopleperhour.com and Guru.com and offer your writing services to other businesses. Since we mentioned writing, we want to add that editing other people’s words might be right up your ally and allow you to make money online. Do you find yourself critiquing articles or social media posts as you read them? Editing might be perfect for you. With so many people writing, whether it be for school, work, or fun, almost all of those people need editing services and the internet makes a perfect place to offer those services. If you have knowledge that other people value, business coaching might be a great opportunity for you. Where many business owners are familiar with their industry, they might need some help with other aspects of running a business; finances, funding, business growth, people management, web development etc This really can be a great way to make money online as people will pay to be as knowledgeable as possible about a topic. Affiliate marketing is putting links to third party websites to sell products and services. It is possible to have many affiliate agreements so that you can make money from several links on your site. If you’re just starting out with an online business idea – you don’t even need a product. With programs like Amazon Affiliate, JVZoo, and other affiliate networks you simply receive money for clicks or purchases that don’t even happen on your site. Can you create an online course around your expertise? Could you teach someone a new skill or show them how to do something well / better? Once you have your material written there are several different ways of publishing these to make them accessible for your purchasers. However, just creating a word document, powerpoint presentation or pdf is sufficient if your training is interesting to the reader. People will pay a one off fee or a monthly fee for access to training materials so that can be a great way to make money online. Whether you write an eBook or sell someone else’s you can make a lot of money doing so with the popularity of Kindle’s and other devices. You can use online programs like Lulu.com or even Canva.com to design your very own ebook to sell. This is a great entry level business to start with low overhead since delivery of the program is completely digital! No need to print a book, have merchandise on hand – or even worry about shipping. Blogging is writing about your experiences and sharing your opinions in a blog online. This is often your own website and as you grow your followers and readers, you can monetise your musings. Blogging opens the doors to income in many ways. You can be a paid writer, offer affiliate marketing, sell advertising on your site, even offering your expertise and services to help others. Students of all ages come across subjects that they need a little extra help with and you could be just the person to help them over the internet. Use your expertise to help others who need it! If you’re addicted to Facebook, Instagram, & Twitter – why not get paid to play on social media? If you can create content people want to engage with and mix it in with the right amount of business promotions as a result, businesses would love to outsource this work to a professional. You can work from home or anywhere in the world. Do you love taking photo’s? Why not turn this hobby into a paying gig? You can take pictures of scenery and sell your photos, you could take pictures of families or kids and sell packages, or you could photograph events like weddings or conferences. Flexible hours, great pay, and you get to do something you love. Sounds like a win-win! If online courses and blogging aren’t your thing, why not try your hand at a podcast? These have exploded in popularity. You can create a podcast on any industry or niche and use your passion and expertise to entertain or educate listeners. You can monetise by getting sponsors and advertisers or even sharing your very own products! Are Your Customer’s Profitable to You? Would you be shocked by the profits you don’t make from your “best” customers? Which Business Expenses Can You Claim?